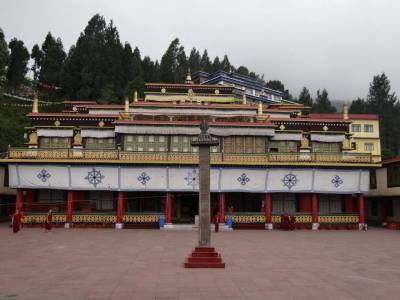 Ranka Monastery or the Lingdum Monastery is one of the newest and most beautiful religious spots near the capital city of Sikkim, Gangtok. The monastery is located on the outskirts of the city of Gangtok and is spread over a large block of land giving ample space for the sculptors & engineers to build a grand two storey establishment. It is not as old and historically important as the Rumtek monastery of Gangtok, still, it is one of the best sightseeing spots around Gangtok. 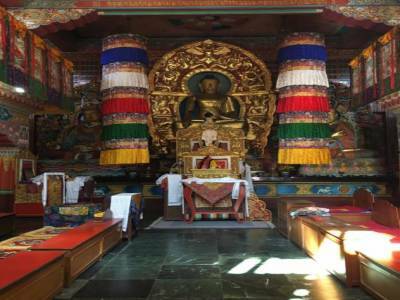 The Ranka Monastery is situated about 20 KMs away from the city centre of Gangtok towards the east. The Ranka Monastery is built on the foundation of the Buddhist religion. The cornerstone of the monastery is of the lineage of the Rinpoche more specifically 12th successor of the Buddhist preacher to the Tibetan Himalayas. 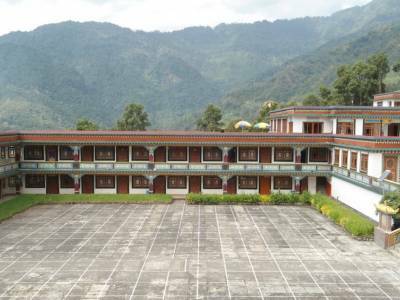 The Ranka Monastery is wrapped from three sides with a naturally manicured alpine forest that gives the most enchanting and serene view to this particular place. The picture perfect nature of the Lingdum monastery makes it one of the most attractive spots of the terrain and the main reason for it being the site of many movies shoots and ad shoots. 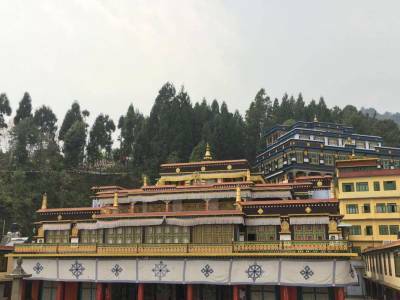 Unlike other monasteries in and around the state of Sikkim it does not has any long walking path or steep climbing stairs to the monastery. Instead, the cars of both small and large size can be parked just near the gate of the Ranka Monastery in the parking lot. The Monastery is a very devotional and disciplined establishment. There are classrooms, balconies and living quarters in the building and the long & broad courtyard for educational and devotional purposes. The sacred chamber within is made of wood finished floors and walls that houses the statue of Buddha. 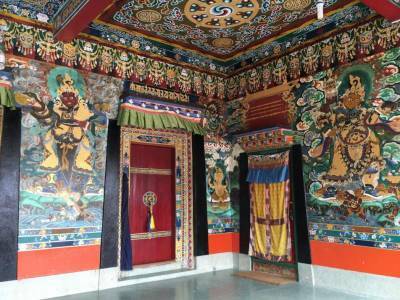 The ambience and scenic beauty of the Ranka or Lingdum Monastery make it the most visited spot near Gangtok. Get quick answers from travelers who visit to Ranka Monastery.